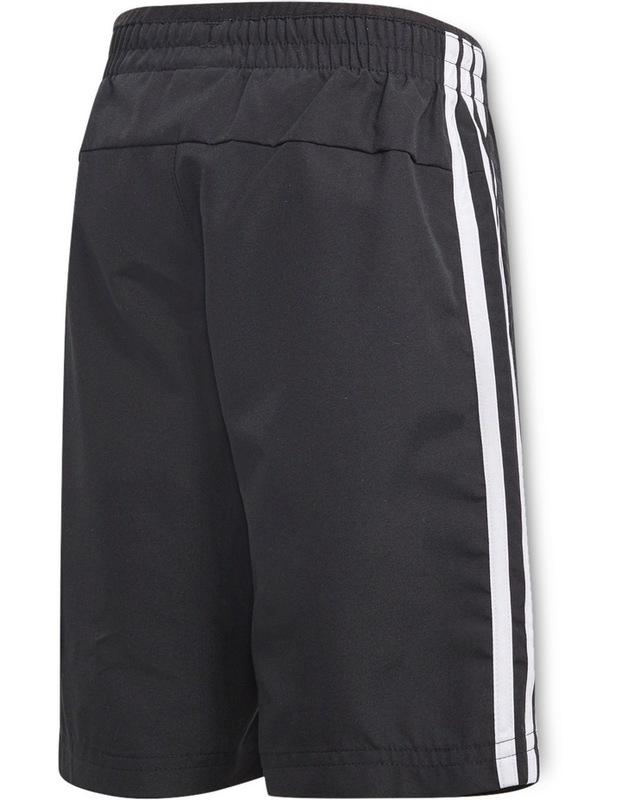 These boys' shorts come in a longer length for extra coverage. 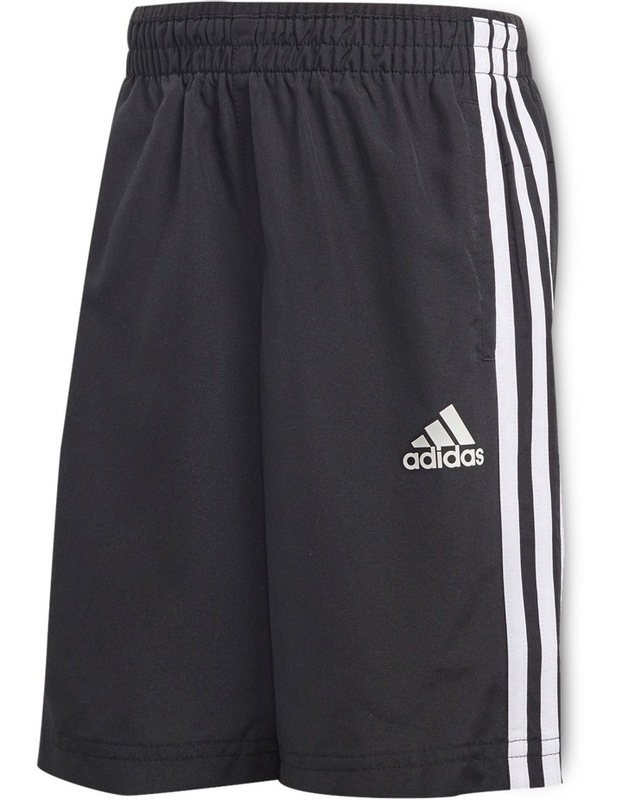 They're made with durable woven fabric and have a contrast elastic waist for easy changing on the go. 3-Stripes line the sides.